Get Workers Comp Coverage From State Compensation Insurance Fund. Our State Compensation Insurance Fund page is under construction. But go ahead and start a State Compensation Insurance Fund workmans comp quote today. State Compensation Insurance Fund appetite guide will be updated by end of May, 2014. Our agency works with State Compensation Insurance Fund throughout the state of California. 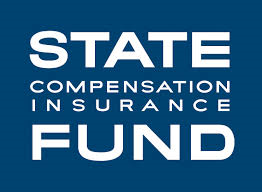 State Compensation Insurance Fund is a premier workers compensation carrier. Start a free State Compensation Insurance Fund quote today. The State Compensation Insurance Fund, SCIF, exclusively writes workers compensation insurance in California. They offer competive quotes for companies with good claims experience and alos serve as the state carrier of last resort for employers who have had losses or have a poor experience modifier. Shop your work comp with NBIS. At Workers Compensation Shop.com, we work with State Compensation Insurance Fund and other California insurance companies to help business owners find less expensive rates and better coverage for their workman's compensation insurance. Get started online with quotes from State Compensation Insurance Fund Company and some of our other insurance partners. Or give us a call today at 888-611-7467 to find out if one of our Specialist can help save you money on insurance.